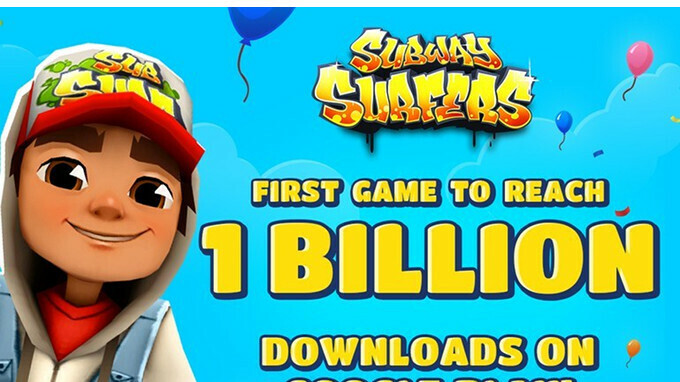 Developers SYBO and Kiloo Games have just announced their endless runner Subway Surfers is world's first game to reach 1 billion downloads on Google Play Store. Subway Surfers made its debut on mobile devices almost six years ago, but the teams behind it never stopped supporting the game and adding new content to it on a monthly basis. According to developers, Subway Surfers was the most downloaded game of 2017. Apparently, last year the game broke through its all-time annual download record with more than 400 million mostly organic downloads on both Android and iOS platforms. But the story doesn't end here, as SYBO Games Chief Executive Officer, Mathias Gredal Noervig promises more surprises for fans of the endless runner. We have achieved greatness by combining our strengths at SYBO and Kiloo. The continued growth of the game and brand is our focus, and we are excited about future releases, and the animated short films that are launching later this year. The players will have even more great content to consume. Out of the 79 world tour visits released by developers, the most popular destinations in Subway Surfers last year were Peru, Saint Petersburg, and Cairo. Seems like a great time to start playing it again, right? Interesting. Google Play still says 500 million. I think they meant Android and iOS combined. Bravo to the developers and those who support the game. The game has worked consistently well for me, since the games came out several years ago. Where do you live that you still have carrier loaded games? Haven't seen that in years. Samsung phones had preinstalled games on Verizon from like the S4 to S6. huh.. Who would have thought? Looks like you got a modded apk. Every second Youtuber is testing the speed of the new phones with this game. The vendors are probably more than happy that their game is so popular. Still my default favorite game..